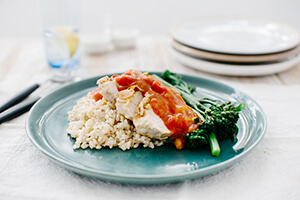 Meals tailored to those with Multiple Sclerosis. Our meals are specially formulated to assist MS sufferers in achieving the perfect nutritional balance. Perfect nutrition for MS Sufferers. There is growing evidence which suggests that a properly balanced and nutritionally formulated diet can make a huge difference to the lives of those suffering from MS and its associated symptoms. At Hit 100, we provide tailored nutritional and dietary solutions to those who are suffering from Multiple Sclerosis. Our aim is to promote health, well-being, and a higher quality of life through excellent nutrition. Take control of your health with Hit 100. We provide great-tasting, wholesome food solutions that follow the "Australian Guide to Healthy Eating". We also have expert dietitians to help you achieve your health goals. By combining good food and good science, our service helps our customers lead healthier and happier lives. The right nutrition solution can help MS sufferers sleep better, feel more energised, improve cholesterol and blood pressure and reduce discomfort. We believe in a world where every person has the resources to live a happy healthy life, and we're energetic about driving change to create health equity. We're passionate about supporting people living with disability to achieve their individual goals and live healthy, full lives. We are on a mission to change the fact that people living with disability suffer more health issues than the rest of the population. 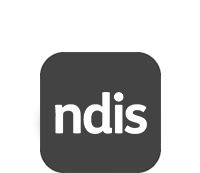 Your NDIS plan can fund meal preparation, delivery and dietitian coaching. All you need to pay for is the food itself through a small co-payment. Call us on 1300 448 100 or fill in the form below to talk to one of our friendly team. We will create your service agreement and talk you through how it works!